I think you are wrong about this Simon. I don't understand your concept of "a functioning cycle network" (that you refer to a lot in your writings). Functioning for whom and in what way? If you mean something like they have in the Netherlands, yes, virtually every cyclist will agree that they would like a "functioning cycle network". The question is the best way to achieve that starting from where we are now. You appear to be saying that it can be achieved without first creating "clear space on main roads". Precisely what I am arguing in this article is that this is not the case. That strategy has, indeed, already been tried, with the original London Cycle Network, and found not to work. The thing about any minor road network is the need frequently to stop, give way and turn. Stopping a cyclist who then restarts has an energy cost equivalent to cycling over a hundred metres. 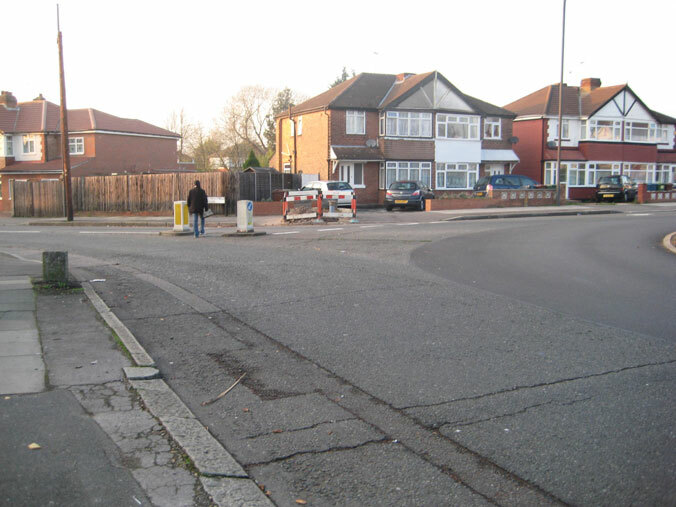 There is also the need to check signs and maps at many junctions. Drivers are very aggressive on minor suburban routes. 'Cycling networks' don't work here. Your description of Streatfield Road sounds exactly like my experience traveling North-South in the same area. 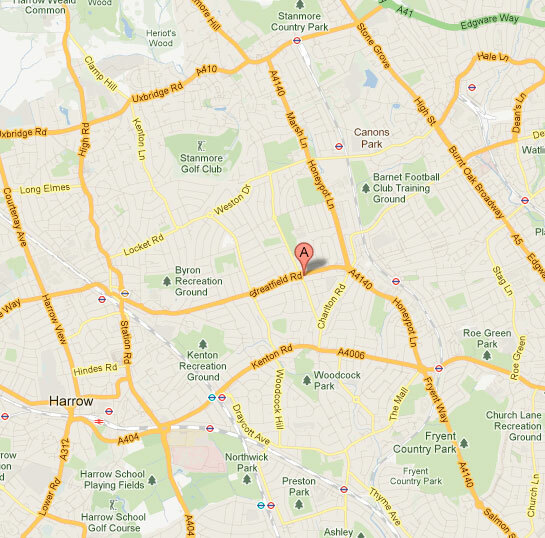 I tend to use Culver Grove, Kenmore Road and the connections North to the A410 and South to Preston Road. 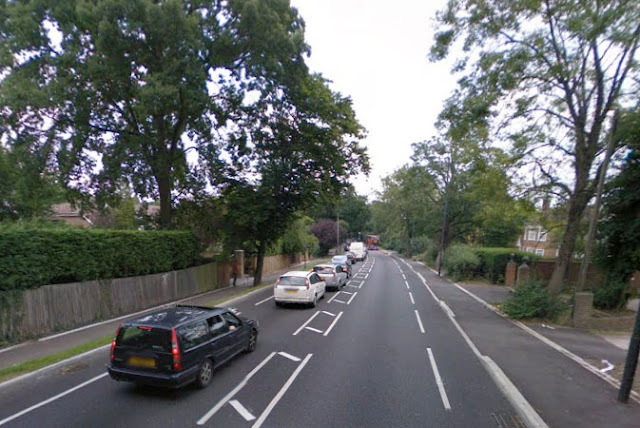 There is the ever-so-occasional "squashed bicycle" along with problem parking and sets of 3 speed bumps which motorists straddle in the centre of the road. While motorists can say "SMIDSY" any amount of signs or paint aren't going to make them take more notice. I am glad that we are agreed on one thing at least, that virtually every cyclist would like 'a functioning cycle network'. 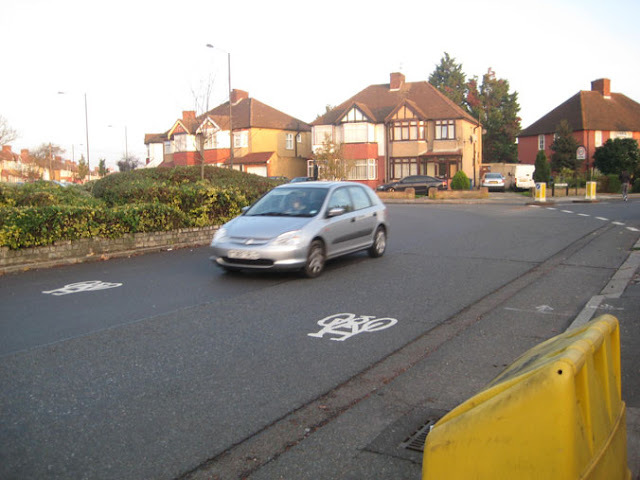 In saying this, I am using your interpretation of what a functioning cycle network would look like, and the question is, as you rightly point out, what is the best way to achieve that starting from where we are now? 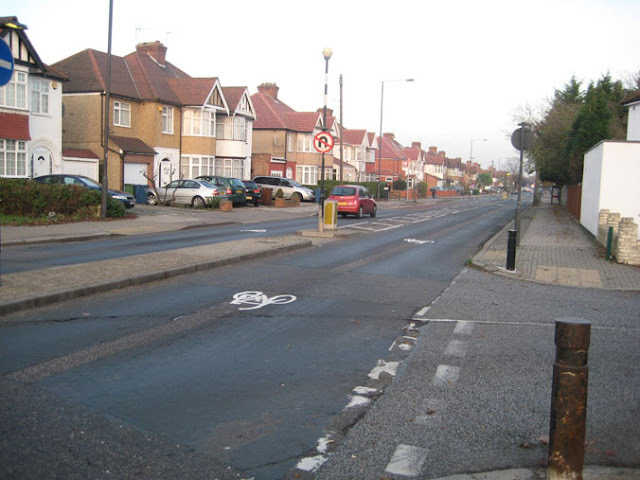 I support the LCC Go Dutch campaign for 'clear space for cycling on London's main roads', but now we need to start getting down to the detail, David, because which ones? All of them? How long do you anticipate this work would take? What do we do about things like this in the meantime? The case is, you understand my interpretation of a functioning cycle network perfectly well, because the whole tenure of your blog is about it. And yes, to begin with, large sections of it are going to be as crap as you portray, in some cases, much worse. But, in talking of the 'magic'awareness-raising bike symbols, you say, 'Motorists do not know why they are here or what they mean.' Now, can you imagine what would be different if they did know what they are for? It wouldn't be much, maybe, but to begin with, whatever you do first isn't going to be much, in the whole scheme of things I mean. It is good permaculture to begin by making the minimum change for the maximum effect. But I don't think he needs to be worried about that. We're talking about a direction of travel, attracting people 'from the margins' for the first year or two, and then building upwards from a *point d'appui*, a solid base. This was not the strategy of the original London Cycle Network. Which main roads? No, obviously not all of them at first. A selection. LCC is indeed drawing up a list, borough by borough, of those we think would give the biggest impact most easily. How long would it take? If we had a mayor who was fully committed to "Going Dutch" we would see dramatic results within 4 years. What do we do about things like the closed southern end of Regents Pk Broad Walk in the meantime? We can continue to make a case for this as well, but I think you are perhaps not realistically estimating some political points here. Where you write above your photo of the closure "Minimum change required", it causes me to raise an eyebrow. Because it only looks like "minimum change" to you, whereas I, through my past involvement with Camden Cycling Campaign, know the full history of this, and the huge battle over decades it took even to get cycling on the northern Broad Walk. There's reasons in the mentality of the people running the park why that section is closed, and to change that would be another mighty battle that could take decades more. And even if we had cycling on the whole Broad Walk, that would still not solve any of the major problems of cycling in central London. 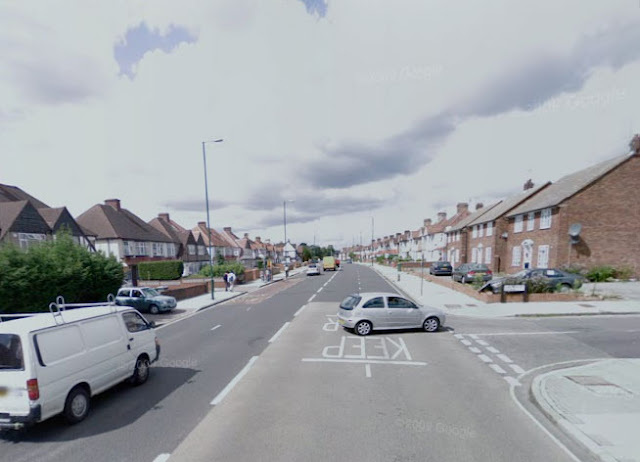 Even the Outer Circle is a relatively benign road compared to most main roads, and certainly the "killer junctions". So in my opinion the relevant question is not "What is minimum change for maximum effect" but "What would really work?". I think there is not much point expending a lot of energy in difficult battles that will not make much difference, as here. What would make the difference, I believe, would be things like a really good central London Thames crossing, or segregated cycling all the way along The Embankment. I think your concept of "what to do in the meantime" is a problem. This "meantime" would last forever if the old campaigning strategy, of just asking for apparently "easy little fixes" here and there, were continued. We need a bolder vision. David, I am talking about the development of 2,200km of cycle network, more if you include the Biking Boroughs, and you say we need a bolder vision. My God!This I have got to see. Simon, you seem to be unable to distinguish between lines on a map and infrastructure. I look forward to you opening this 2,200 km network.